Pheny Healthy Sweet is a new product introduced into the market. Pheny Healthy Sweet is a kind of biological engineering technology product, made from pure natural and best quality of sterioside. Sterioside is mainly obtained from Stevia sweet leaf. This product is high in sweetness, 50 times sweet as cane sugar. Pheny Healthy Sweet has virtually no calories, doesnt raise blood sugar levels and taste purely sweet. 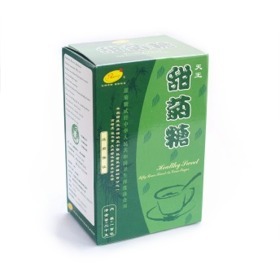 Pheny Healthy Sweet is suitable for everybody. Diabetes patients can use this as a sugar replacement in their daily cuppa. Pheny Healthy Sweet can also be used for cooking. Each box comes with 100 sachets. If you think 1 sachet is too sweet try using lesser amount. One box can last for few months. Pheny Healthy Sweet can be kept for 3 years duration.